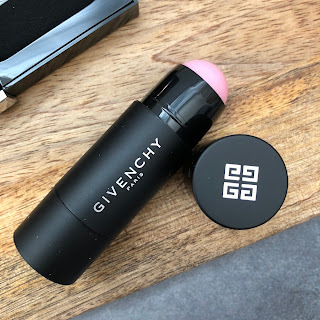 Spring is upon us and I was fortunate enough to receive a few items from the Givenchy Spring 2018 collection to test out and review. The premise of the collection is The Face Atelier - a Tailor Made Makeup Look. There are 5 items total and I received two of them (the glosses are separate). 2-in-1 mattifying and blur stick in a convenient stick formula so you can take it on the go and touch up any oily spots anytime. This is my favorite product received - I used it as a primer and it helped to even out any unevenness and fill out the pores and it is dries down completely which is great. This eye palette combines 4 daring shades with an innovative applicator to create a tailor-made look. The applicator is supposed to be reminiscent of seamstress chalk but I wasn't too sure how to use it so I just stuck with regular make-up brushes. 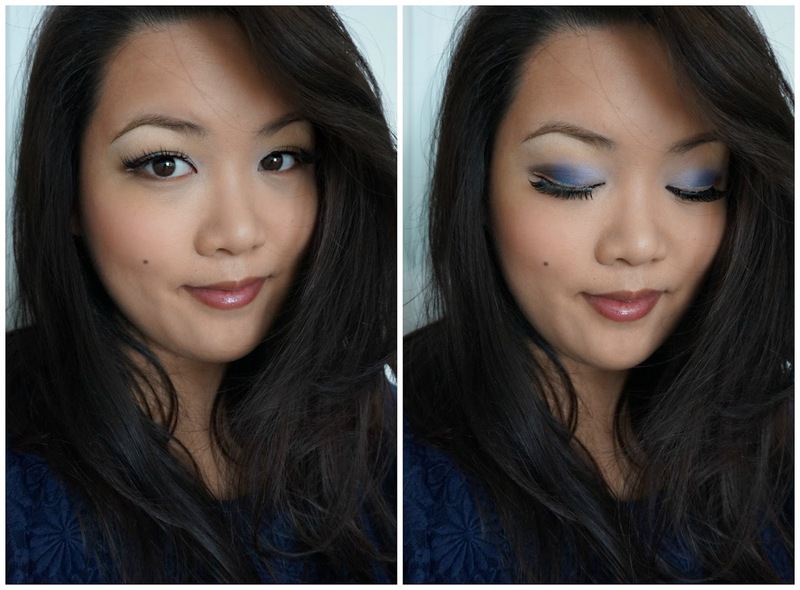 The applicator was sponge like and rather big so I didn't know how to apply shadow into a precise area. This i a concealer in a unique macaroon shade to bring touches of radiance and light to your complexion. An eyeliner with a new Champagne shade to bring a touch of light to the eye that lasts for hours. 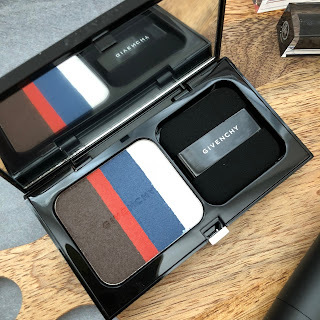 Above is the Givenchy Interdit Vinyl which retails for $37 each. 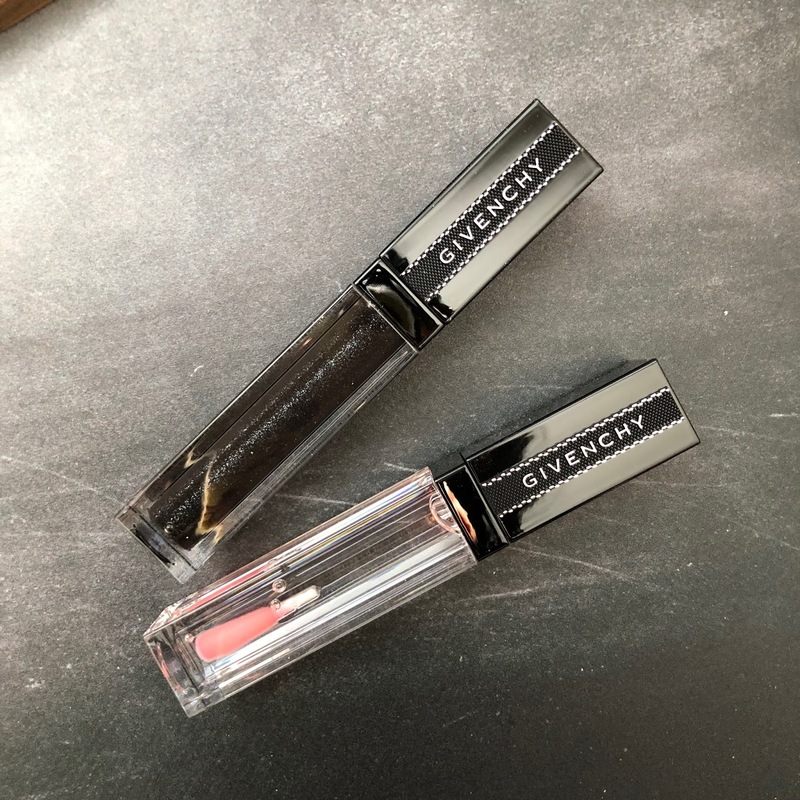 These are beautiful high shine glosses that come in a wide range of colors, as well as shade boosters which react to your own personal PH level to give you a custom shade (which is what the above two glosses do). Shade 01 Rose Révélateur (the clear gloss) enhances the natural lip color and shade 16 Noir Révélateur (the black one) enhances the natural tone of lips but with a darker tint to it - you can see it in action in my tutorial shot below. 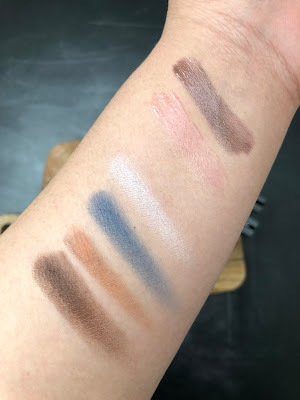 Above are the products swatched ~ the shadow palette was not as pigmented as I hoped it would be when swatched with the finger - however when applied over an eyeshadow base, it turned out well as you can see below. The one thing was that the orange tone was so thin that it was hard to get the color without touching the brown as well. If I were to recommend a product it will definitely be the Mat nad Blur Touch stick as well as the glosses! The black one is really unique and I haven't seen anything like it right now. The cushion glow looks lovely! Great collection - thanks for sharing! i have to admit it honestly wasnt my best look - the blue is gorgeous but the orange was hard to work in :( the blur stick though.. girllll you need it .. and the gloss is a beaut!